The grounds are stunning year round, but perhaps more so in the autumn! It was the turn of the century and Edmonton had just been declared the capital of Alberta, shortly after it was incorporated as an actual city. The first provincial legislative session happened in 1906 at the Thistle Rink, which happened to be the largest building in the whole town at that point. 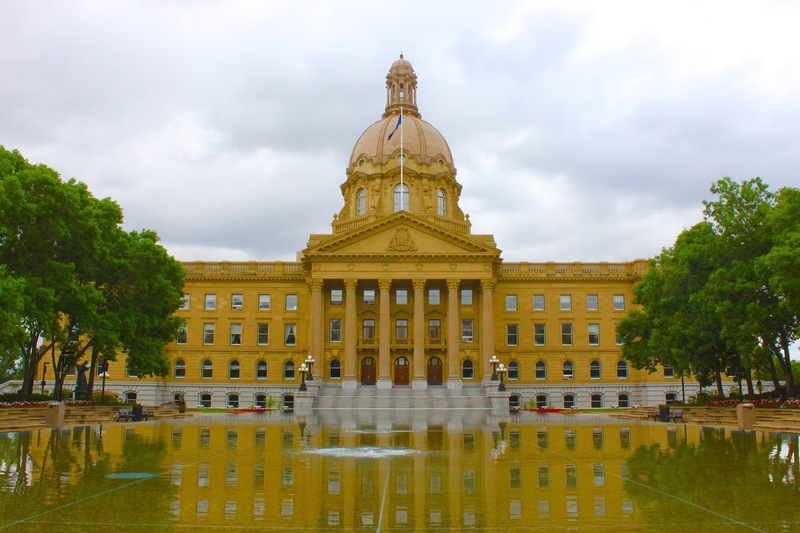 Future sessions took place at the MacKay Avenue School (1906-08) and then at a hall in the government-owned Terrace Building (1908-11), until the Duke of Connaught - then Governor General of Canada - officially opened the doors to the pristine Alberta Legislature Building on September 3, 1912. The pond (& fountain) in front of the century-old Alberta Legislature Building, just on the outskirts of downtown Edmonton. 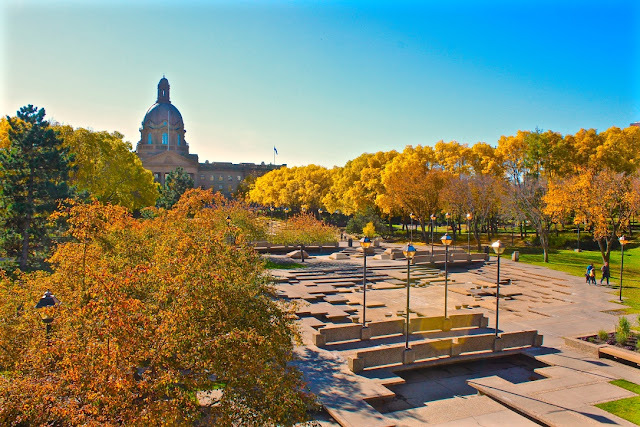 Located just off the North Saskatchewan and at the edge of downtown, the “Ledge” grounds are tranquil day and night, rain or shine, all year round. There are picturesque fountains and elm trees surrounding the area, leading up to the newly-renovated Federal Building and public plaza where downtown workers now spend their coffee breaks and lunch hours.